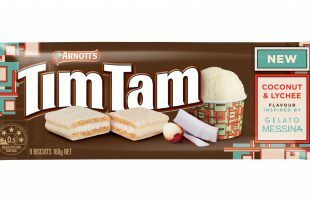 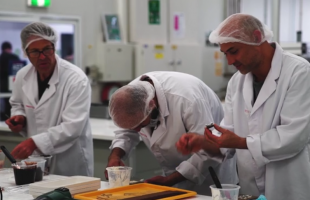 Snack and dessert titans in Australia, Tim Tam and Gelato Messina, have united to create their own demi-titan love child: the Tim TamMessina biscuit. 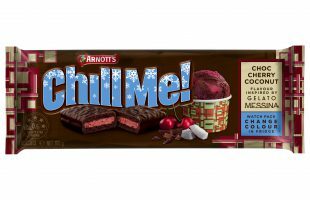 Gourmet dessert manufacturer Gelato Messina has joined with Arnott’s to launch a new range of Tim-Tam chocolate biscuits. 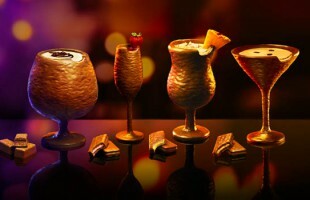 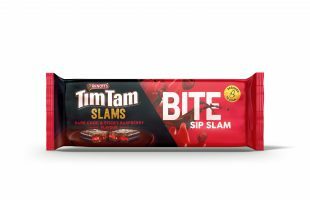 Arnott’s Tim Tam launches limited edition mocktail inspired range.